With the amount of information available to us today, we can easily feel overwhelmed by all the things we consume consciously as much as subconsciously. Most people start their days with a to do list. 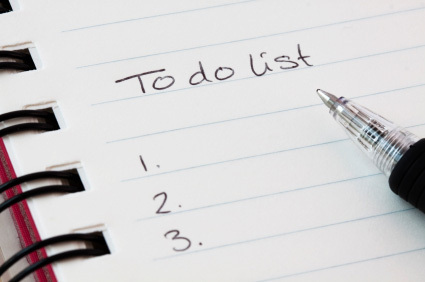 The average to do list has a dozen items and oftentimes more, for me. If you are a productivity oriented achiever and also have a to do list with a dozen items or more it will help to reduce the number of things you have on your list. There are two simple techniques to reduce the number of items on your list. I have personally used these techniques successfully over the past few months. The first method is prioritization. Determine the top 5 items on your dozen (or more) items long list that are most important to you having a most productive day. Then start working on those 5 items, from the most important to the least. Don’t have more than 5 items, otherwise you might feel overwhelmed and end up not doing anything. What are some techniques and methods you use to reduce the number of items on your to do list? This post is day 8 of One hundred words every day for 10 days. Total: 264 words.